Busloops delivers Chill Out Construction Kits pack. Each of these Kits is given its own unique treatment to create a pack which has all of the unmistakable hallmarks of the genre but with a sound all of its own. 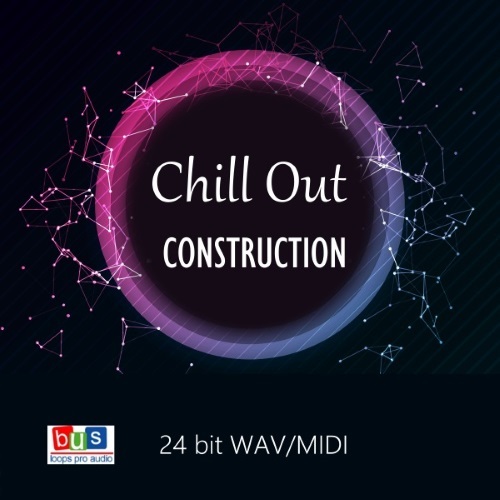 Five smooth and lush Chill Out Construction Kits for creating a wide variety of slow tempo music styles such as Chillout, Lounge and Downtempo. Included WAV and MIDI formats. Chill Out Construction Kits offers a complete mix of the particular groove for demonstrative purposes followed by it’s component parts and labelled with the original key and tempo when recorded. You will find beautiful melodies, chords, keys, strings, synths and warm pad loops, drums, percussion, bass-lines and FX. An essential addition to create unique smooth tunes, lounge projects as well as radio and TV commercials, film cues and web applications of high quality.